After using the DtD port, the hAP no longer produces mesh 2.4 rf. Yes it worked prior to DtD. 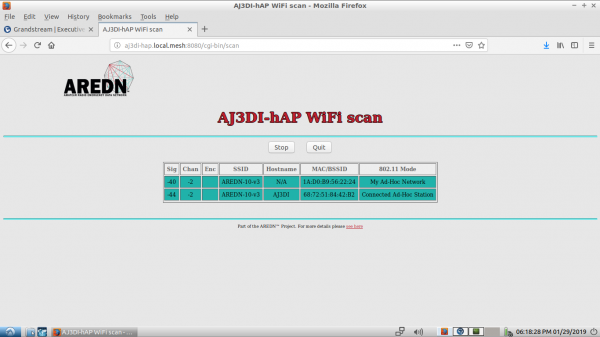 Wifi scan is not working. Well, it works, just nothing heard. Don't think the hardware coincidentally died on 2 different devices at different locations. please capture the data download file and upload here. I am unable to reproduce. Accessing mine over dtdlink and seeing an RF link to anther NSM2. Just a poke in the dark here - are you using the supplied 24 volt power adapter? Are you using the DTD Port as POE out? If so, what happens if you remove the load from the DTD port?? As best can be determined so far, it's believed to be a hardware problem on the hAP ac lite when using 5MHz channel width. Change to 10MHz channel width and see what happens.